I absolutely love post production as a photographer. For me, a job is 50% photography and 50% retouching. One compliments the other. I get just as excited photographing my images as I get to retouch them. 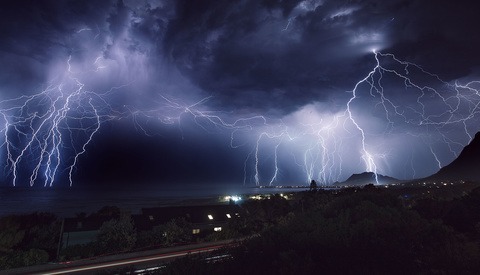 And when I captured a lightning storm in Cape Town a few weeks back, it was no different. 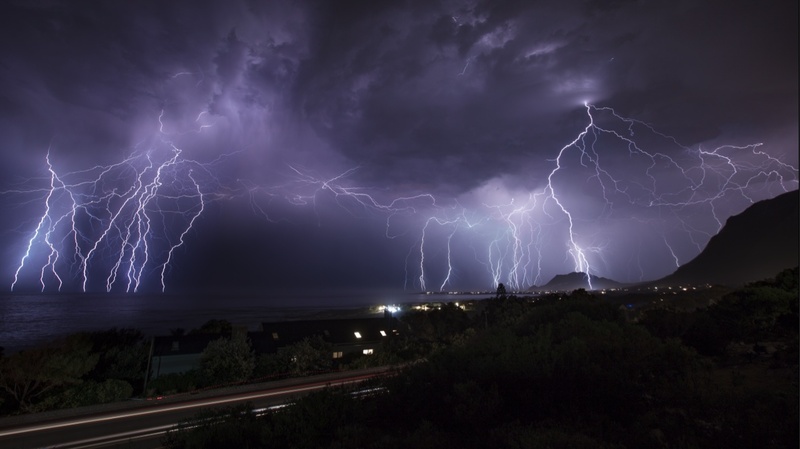 A while ago I posted an article on how to take a photo of this particular lightning storm. Since the article was published, I received several emails from photographers asking me how it was done, and what was done in post-production. As I mentioned in the previous article, I wanted to capture quite a few strikes all in one image. However, almost immediately, I was faced with a potential problem. Leaving the shutter open in the hopes of capturing all the lightning strikes that occurred over a period of time will eventually cause your image to overexpose. The other factor is noise. If your shutter is left open over a long period of time, the sensor starts creating a lot of artifacts. Sure, you can switch on Long Exposure Noise Reduction, but then you realize you have to wait longer in between shots for the camera to process the images, potentially missing key lightning strikes. With this in mind, I decided to shoot multiple images of the lightning with the intention of combining it all in Photoshop. As I arrived home after photographing the lightning strikes, I switched on my desktop PC, dumped my memory cards and loaded Photoshop and Bridge. I’m sure there will be a lot of people who disagree with my process going forward, but with Photoshop there are many ways to skin a cat. This is just the way I did it. I would love to hear back from you if you have a different way of processing similar images. The first thing I did was to load up Bridge in order to start my image selection. You can use Adobe Lightroom or Capture One if you’re more accustomed to those programs. I just find bridge quick and easy for selections, labeling the shots I want and loading them directly into Camera Raw from there. 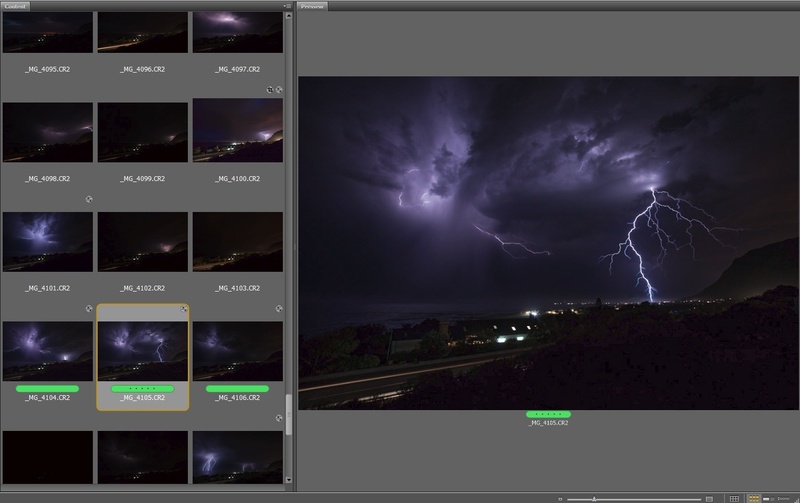 I made sure to select 5, well-exposed foreground images and about 10-15 lightning strike images. After I’ve made my selection I loaded the selected images into Camera Raw. Selecting only the foreground image, I made some basic corrections. Now that I had my foreground detail, it was time to tackle the lightning shots. First up was the white balance. Unfortunately, there was a bit of city light reflecting against the clouds which I had to correct using the Temperature slider. I preferred a natural blue tone in the sky rather than the murky orange-yellow tone I originally had. After a few tweaks here and there, I could open the images up in Photoshop. One thing I do utilize in Photoshop is Smart Objects. The ability to open a raw image as a Smart Object in Photoshop has many benefits. For instance, if I’m unhappy with the way one particular image looks, I can easily double-click on the smart object layer to reopen the raw converter and tweak it until I’m satisfied. Of course, this creates huge file sizes, but I’d rather invest in more hard drive space than lose out on the functionality of Smart Objects and the quality that you get from using this function in Photoshop. 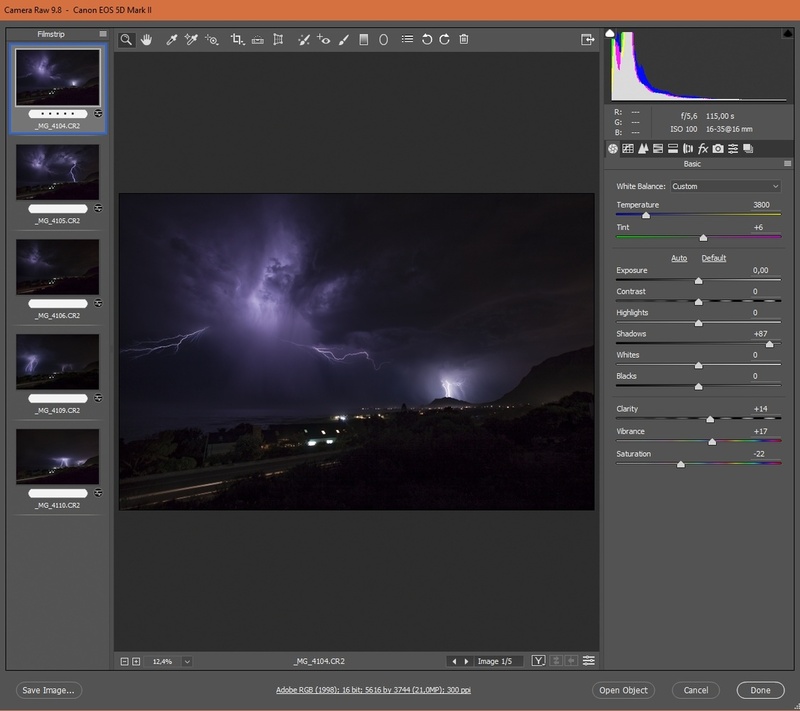 The aim of this tutorial is to show you a non-destructive way of processing your lightning images, so in case you need to tweak an image again, you don’t have to start from scratch. If you’re unfamiliar with Smart Objects, I found a great tutorial over on Phlearn for you to check out. The next step in the process is to stack all your images as layers into one document. Simply dragging while holding the Shift key ensures the images will be aligned with the ones below it. Once this is done, go up to Layer – Smart Objects – Stack and choose Median. This method ensures all images are stacked on top of each other, with the visual information from all the layers being visible. 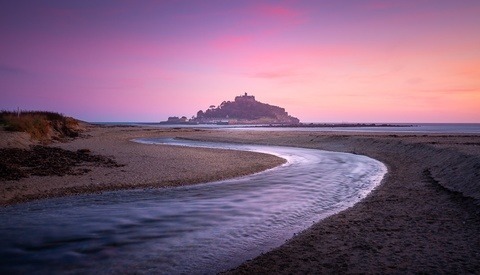 The added benefit of this method is that it reduces noise very well when stacking five or more images of the same scene. The stacking algorithm basically scans across all the images, finds the variable noise patterns and removes it. On a side note, this is how you can shoot a busy street and make it appear completely desolate. The algorithm takes an average from all the photos, calculating what objects were constant in previous images and which objects were not visible in others. The end result being that any object that is not constantly visible in all the images are removed. A handy trick especially when it comes to noise reduction, as the noise pattern varies in each photo and will thus be removed, keeping only details intact. For the foreground, I decided to stack the five images I had using the method mentioned above. Due to all the objects being constantly visible in all five frames, the method of stacking I applied only removed the noise while making the static objects in the foreground appear crisp and clear. Once that process was completed, I had one foreground image and about 15 lightning shots that still needed processing. Unfortunately, I ran into some rather strange coloration issues when using the same method when stacking the lightning shots, so I opted for a more basic method. I grouped all the lightning shots, adding masks to each layer and started painting in each lightning strike all the way up to the cloud above, being illuminated by the light. 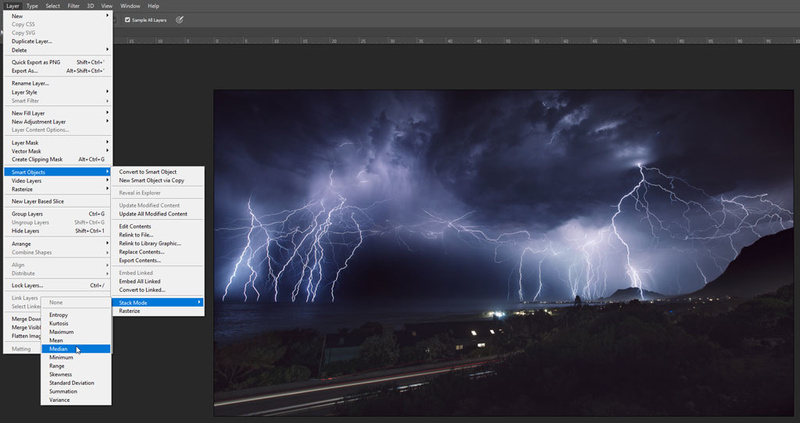 After I was happy with the result, I opened each individual lightning strike in Adobe’s Raw converter and did a little bit of noise reduction, using the luminance noise slider to more or less match the noise of the foreground. Then came the final step. The final image needed some more punch. Using Photoshop’s adjustment layers, I added a curves and color balance to it. I also made use of the LUT adjustment layers to add a bit of a grade to the final image. LUT’s are a great way to add some grade to your image. 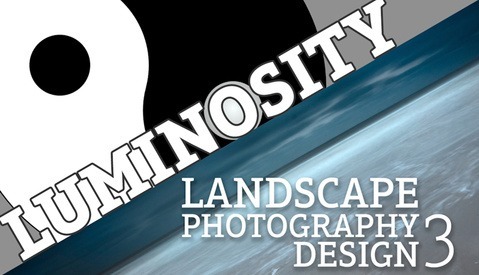 Wouter Du Toit posted a great tutorial about this on Fstoppers. In the end, I sat with quite a sizeable file, and I admit I’m a bit of a pack rat when it comes to building up layers in Photoshop. As I mentioned before, I’d rather have the functionality and worry about hard drive space later. And there you have it! I hope to see some epic shots from you guys soon! Great series. Lightning photography is something that I'm interested in. Anytime I see the word, Thunderstruck, I think of AC/DC. Awesome final image!! Thanks for sharing how it was done. I'm yet to put a few lighting shots together, occasionally I'll head out and try for a lightning shot but haven't had much luck for a while. Wet season's pretty much done here for the year so I'll have to wait until around Christmas to get out and try!! Great image and very detailed article. Is there a link to the first article?